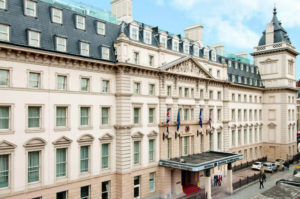 Visit London and stay with Hilton Hotels. London is a sprawling city with attractions and landmarks dotted all over its landscape. You’re unlikely to find an area that has little to do or see but there are some obvious bucket list style attractions that make London such a magical city to explore. 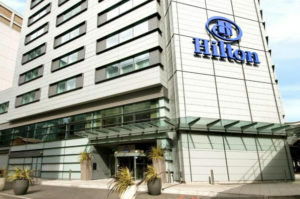 Hilton has an excellent selection of hotels throughout London with it’s Hilton Hotels and Doubletree by Hilton brands. The Hilton summer and winter sales also run every year, offering savings of up to 25%* on their hotels. Follow us on Facebook to keep up to date on when these sales are running. Your long flight has just landed in Heathrow and you just knew you would be thinking ‘I really can’t face a long transfer to my hotel’. You feel so pleased you had planned ahead and booked your hotel via London Toolkit. Whilst making your way to the train station for your short 15-min transfer, you think “Take me to Hilton London Paddington”. The Hilton Paddington is an integral part of Paddington Station. 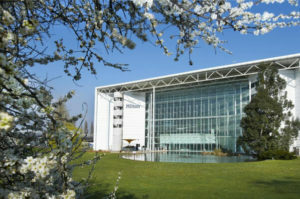 There is no more convenient hotel if you are flying into Heathrow as it is a 15-min transfer by train. Rooms feature air-con with tea/coffee maker, minibar, on-demand movies and a work desk. Once in Paddington and refreshed, you can use the excellent transport links to get to and from the London attractions and landmarks with ease. As the hotel is just outside central London, it offers excellent rates. Perhaps you didn’t come all this way to stay on the edge of London and want a room with a view. “Take me to Hilton London Tower Bridge”. 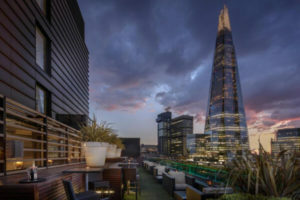 You can enjoy breathtaking views across the Thames in this luxury well-equipped hotel, right by Tower Bridge and the Tower of London. Take a short walk from the hotel entrance and you’ll find yourself entranced by the majesty of Tower Bridge and revelling in the historic Tower of London, right by its side. It is easy to get to all the other major landmarks from Hilton London Tower Bridge. 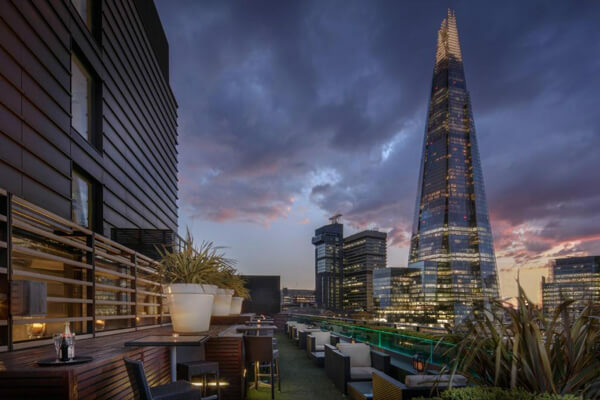 Coming back after a long day of exploring, you can relax in luxurious surroundings and enjoy magical views across London’s beautiful cityscape. Maybe you would prefer to be right in the beating heart of London. “Take me to The Trafalgar St. James London, Curio Collection by Hilton”. 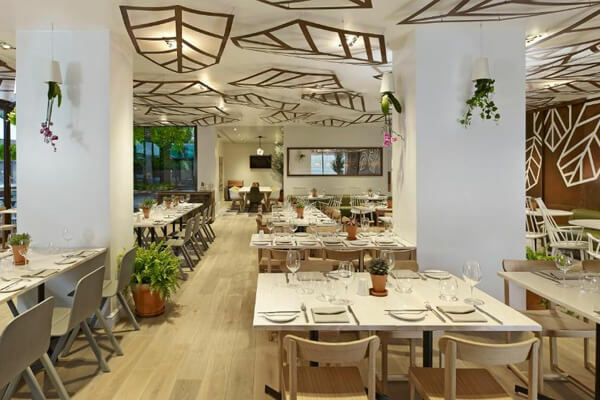 Experience full-service luxury in as central a location as you could wish for. 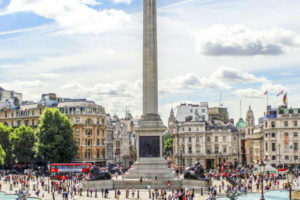 Step outside and you’ll be in Trafalgar Square, checking out the fountains, taking pictures of the lions and Nelson’s Column. 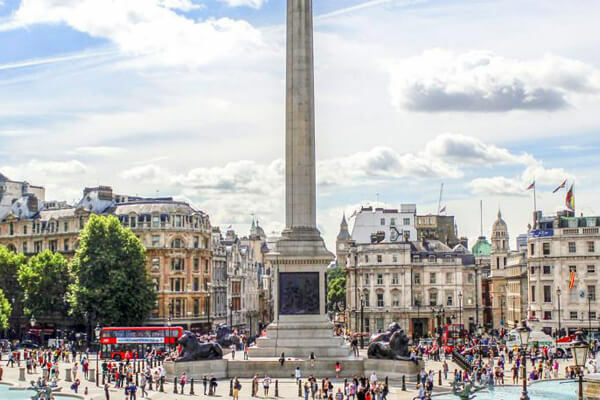 You can pop into the National Portrait Gallery to see some of the world’s masterpieces or walk a few minutes to the Thames and the London Eye, Houses of Parliament and Big Ben. Buckingham Palace is a 5-min walk down the Mall from your hotel entrance and the rest of London is easily reachable from the nearby Underground stations. As night falls the area comes alive with Soho & Leicester Square close by and the theatre district on your doorstep. If you’re visiting London on business, then you may need to stay in the city district of London “Take me to Hilton London Canary Wharf”. Ideally located in the centre of the city’s financial hub, you can be sure to arrive refreshed and ready for your all-important meetings. When not working or if you’re a leisure traveller, this practical location gives you beautiful undisturbed views of the London skyline. It is very simple to access the rest of London via the excellent transport links. Often used as a place to stay when visiting the O2 arena and enjoying a late-night concert. 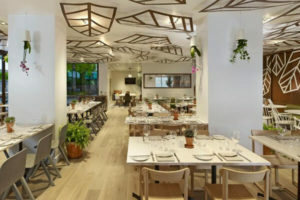 You are sure to experience a great night out as well as a great place to stay. Once in a while, it’s lovely to stay in a hotel just outside the centre of the city, relaxing in a great value location. “Take me to the DoubleTree by Hilton Hotel Hyde Park”. Here you can enjoy stunning views over Hyde Park or take the very short walk into the park itself. Stroll, run or sit down with a book. However you relax, you’ll unwind and enjoy one of London’s most beautiful and expansive green spaces. A perfect place to recharge after a long day of exploring everything London has to offer. 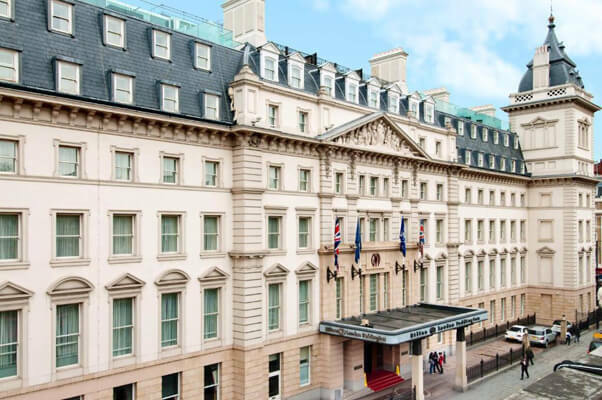 Hilton Hyde Park is only a 10-min walk from Oxford Street, the heart of London’s shopping district. This hotel is a London landmark in its own right, designed with a boutique feel. Set in an Edwardian building, it features all the facilities you could want for a luxurious city break. It’s such a shame you have to leave the beautiful blend of modern and historic London so soon. I’m sure you would also prefer a flight time that was not so early. “Take me to the Hilton Hotel London Heathrow Airport”. Located right by the airport with direct access to Terminal 4 you can relax in soundproofed, well-equipped luxury rooms. This ensures your guaranteed to have an excellent rest before your flight. The hotel runs a bus service to Terminal 5. You can also get the train from Terminal 4 to Terminals 1, 2 and 3. This incredibly well-equipped hotel offers three restaurants, a swimming pool, fitness centre and free Wi-Fi. You can relax knowing your final moments in London will be as enjoyable as the rest of your time here. 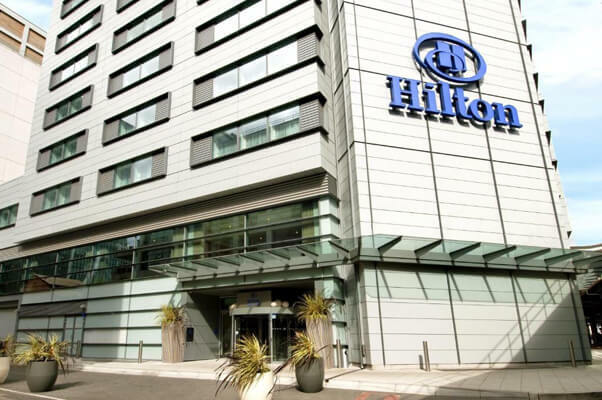 You’ll discover there are a host of other options on offer right across London with Hilton. All enabling you to experience that guaranteed blend of Hilton quality and convenience. Every year Hilton run their Hilton summer and winter sales, offering you the chance to save up to 25%* on hotels in London. Follow us on Facebook to keep up to date on when these sales begin. Also, we have our own dedicated page with all the Hilton Hotel options available. Book your London Hilton Hotel. We really hope you enjoy visiting London. Just use our links to explore how you too could experience London with Hilton Hotels for less. Please do share your experience of visiting London with us at London Toolkit in the comments section. We’d love to hear from you. If you’ve taken any pictures of your London experience just use the hashtag #londontoolkit in your social media feed for a chance to be featured.